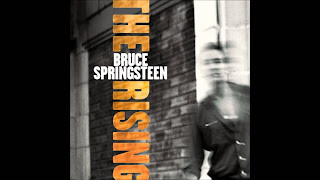 All that changed in early August 2002 when on the basis of many positive reviews at the time I bought his just released, (9/11 addressing & E-Street Band reuniting), album "The Rising". I was walking the dog, listening on headphones, and had found the first 10 tracks, enjoyable, if not spectacular. Track 11, "Mary's Place", changed all that. The old time gospel hall feel with it's saxophone licks caught my attention. I wasn't prepared for what happened at 3:34 on "...drop the needle and pray...". I felt like St. Paul on the road to Damascus. As the call and response vocals built, it was as if the mists were parting and I could see, and more importantly understand, the greatness of Springteen's writing. By the time the drum fill built to Bruce joining the backing vocalists with a cry of "turn it up" at 4:10, I had gone from a Bruce respecter to a Bruce fan. Never before, or since, have I had the experience of my opinion of an artist being changed so comprehensively in the space of less than a minute. Within a few months I had acquired his entire back catalogue, and have come to consider "Darkness On The Edge Of Town" his finest work. I have remained a fan ever since. For those interested I would have to say that "Racing In The Street" is his greatest song. A tune that couldn't be anymore a song about "Cars and Girls" as Prefab Sprout put it, but is so much deeper than that. If you've ever been ambivalent about Bruce, keep digging, there's a song of his for everyone. Steven - I would love for you to come on Set Lusting Bruce and share your story! Let me know if you are willing to join me on the front porch.